How to promote your music on streaming platforms. Many independent artists are making a full-time living off the revenue generated from streaming platforms like Spotify, Apple Music, and Pandora. Making your music available on those streaming platforms is just step #1 though; it guarantees nothing in terms of traction in the streaming age. Continued success on streaming platforms comes from a combination of good music, smart strategy, and action. 7 best-practices for your music on Spotify, Apple Music, Pandora, and more. Many of the streaming platforms have artist interfaces that allow you to customize your profiles, use on-platform marketing tools, and view analytics that may inform your efforts. Note: As a CD Baby artist you get instant artist verification on Spotify, so you can access your Spotify for Artists account without delay. Any service that guarantees streams or playlist placement in return for money is lying to you about their legitimacy. We never associate with services like that and anyone who tries to artificially increase stream counts will risk having their music taken down. It’s important to know that you’re putting your career at risk anytime you engage with one of these bad actors. Services that guarantee streams often rely on click farms or other unscrupulous practices to generate activity. Since streams are monetized, this is a form of fraud, and may result in a “takedown” where Spotify and other digital streaming platforms remove your music from their service. Do not be lured by the promise of boosting vanity metrics. Similarly, services that guarantee playlist placements are often either involved in playola (paying for placement) or artificially inflating their own network of playlists’ followers with “listeners” who actually never listen to the playlist. On the topic of fraud, it’s also unethical to stream your own music on repeat in an attempt to boost play counts or drive streaming revenue. Of course it’s fine to hear your own songs once in a while, but when you leave your newest album on a loop for two days straight, the streaming platforms will take notice and (potentially) remove your music from their service. Don’t do it! Your followers on streaming platforms are the most likely people to hear your new releases, engage with your back catalog, and add your songs to their own playlists. Getting a fan to follow you begins by simply ASKING! On Pandora, this means asking your fans to create stations from your music. Check out this free PDF for tips on building your presence on Spotify, embedding a follow button on your website, getting playlist placements, and more. 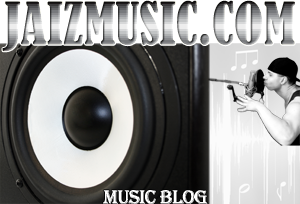 Make it easy for your fans to listen to your music where THEY want to hear it. Embed the corresponding music players on your website and use a smart link such as HearNow (a single destination that routes fans to their preferred streaming platform) when you share your music online. Much of your traction ON digital streaming platforms comes from the work you do OFF those platforms, driving listeners to places like Apple Music, Spotify, and Pandora. If you want to do well on streaming platforms, you should release music more often. Many of the streaming platforms’ algorithms function in such a way that you benefit from releasing new material as soon as the activity for your previous release plateaus (or even before). Each wave of listeners feeds into the next wave, and you don’t want to lose traction by disappearing between releases. These seven best-practices are a good starting point for your streaming promotion, but they’re by no means the ONLY things you can and should be doing. Got any to add? Please comment below.